The Museum of Curiosity is BBC Radio 4’s monumental comedy edifice, and the only one with gargoyles in the foyer. It allows nothing inside that doesn’t make you scratch your head, stroke your chin or, at the very least, go ‘Hmm’. Fortunately, helping to fill its vacant plinths is a gathering of the world’s most original minds. 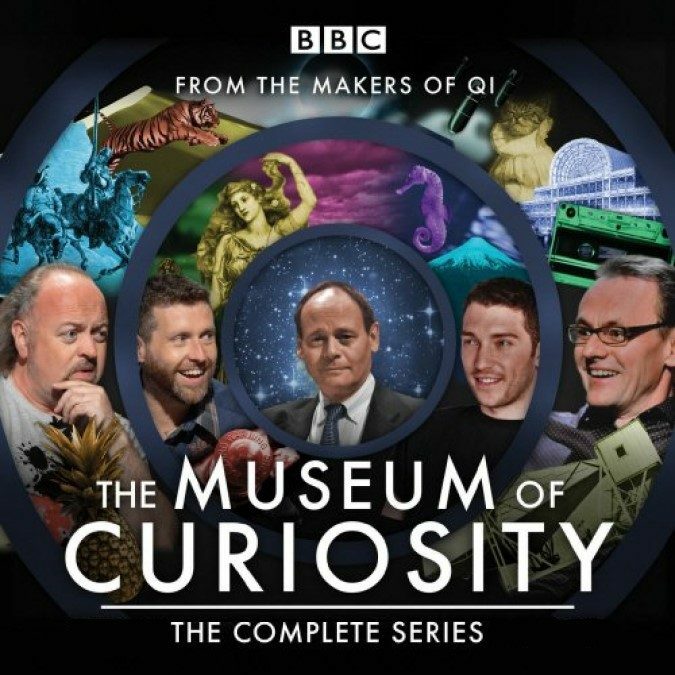 Among the guests bearing donations to the museum in these episodes are Neil Gaiman, Sarah Millican, Clive James, Kate Adie, Sir Terry Pratchett, Ronni Ancona, Jon Ronson, Bettany Hughes, Ben Elton, Francesca Stavrakopoulou, Alain de Botton, Charlotte Uhlenbroek, Alistair Fothergill, Ruth Padel, Jonathan Miller, Lucie Green, Marcus du Sautoy, Sara Wheeler, Brian Eno, Shappi Khorsandi, John Hodgman, Chris Addison, Roger Law, Tim Minchin, Philip Pullman, Richard Wiseman, Victoria Finlay, Simon Singh, Jimmy Carr, Graham Linehan, Sarah Bakewell, Robin Ince, David Eagleman, Natalie Haynes, Brian Blessed, Alan Davies, Gareth Edwards, Martha Reeves, Harry Enfield, Helen Scales, Admiral Alan West & many more.